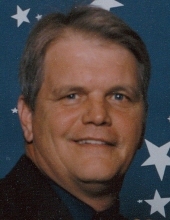 Jerry M. Shackleford, 61, of Milan, passed away unexpectedly on Tuesday, October 9, 2018 at his home. A celebration of life will be 12-3pm Saturday, Oct. 27 at Mulligan’s Valley Pub in Coal Valley. Friends and family are welcome to attend. Memorials may be made to the family. Quad Cities Cremation Center is assisting the family with arrangements. Shackleford. He graduated from United Township High School and became a firefighter, working for both the City of Silvis and Rock Island Arsenal. After retirement, he enjoyed doing odd and ends for his neighbors to stay busy. He also enjoyed spending time with his friends. He was an avid sports fan all throughout his life and played for the Quad City 76ers. Survivors include his children, Ryan Shackleford, Bettendorf, Annaka (Josh) Whiting, Moline, Rich (Denise) Shackleford, Davenport, and Alexa Shackleford (Alec Birdsell), Mount Union; five grandchildren and one on the way; brothers, Dewey (Kathy) Moncrief, Coal Valley and David Shackleford, East Moline. To plant a tree in memory of Jerry M Shackleford, please visit our Tribute Store. "Email Address" would like to share the life celebration of Jerry M Shackleford. Click on the "link" to go to share a favorite memory or leave a condolence message for the family.